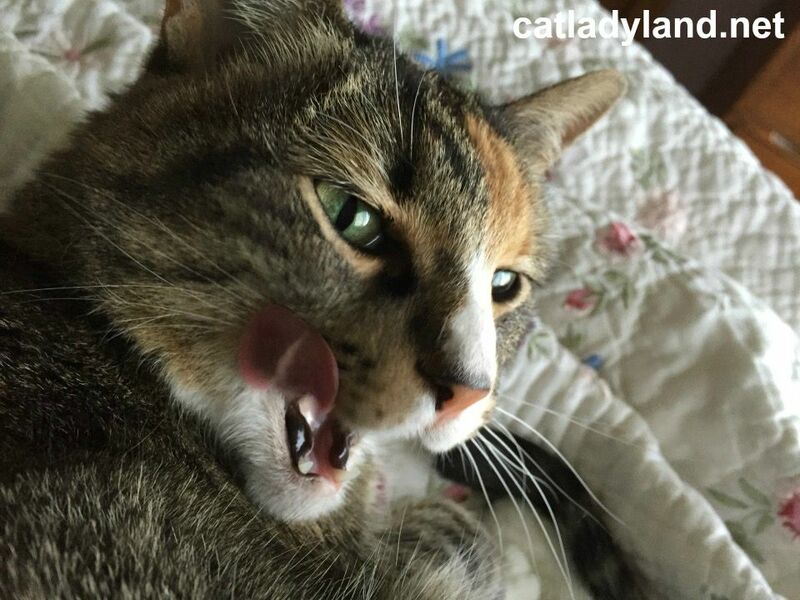 Every once in a while I catch a delicious licky-tongue pic from one of my cats. Phoebe's looks are sometimes the best because I get a peek at her multi-colored gums, or as I call them "spotty gums." If I had "spotty gums," they wouldn't be nearly as cute as hers. In fact, I might need to schedule an appointment at the "spotty gum" specialist.